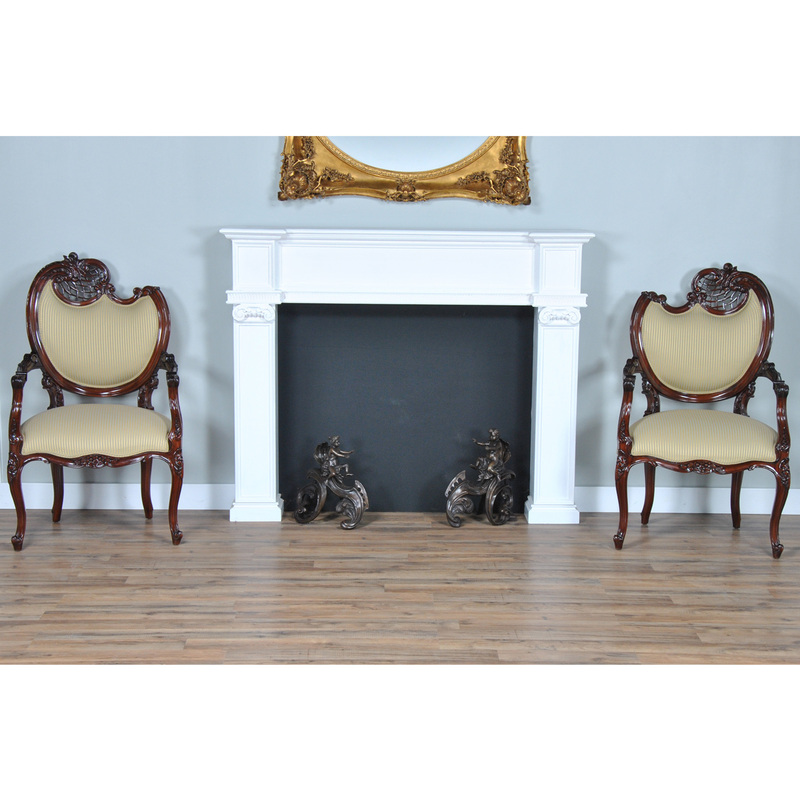 The Right Fireside Chair from Niagara Furniture. 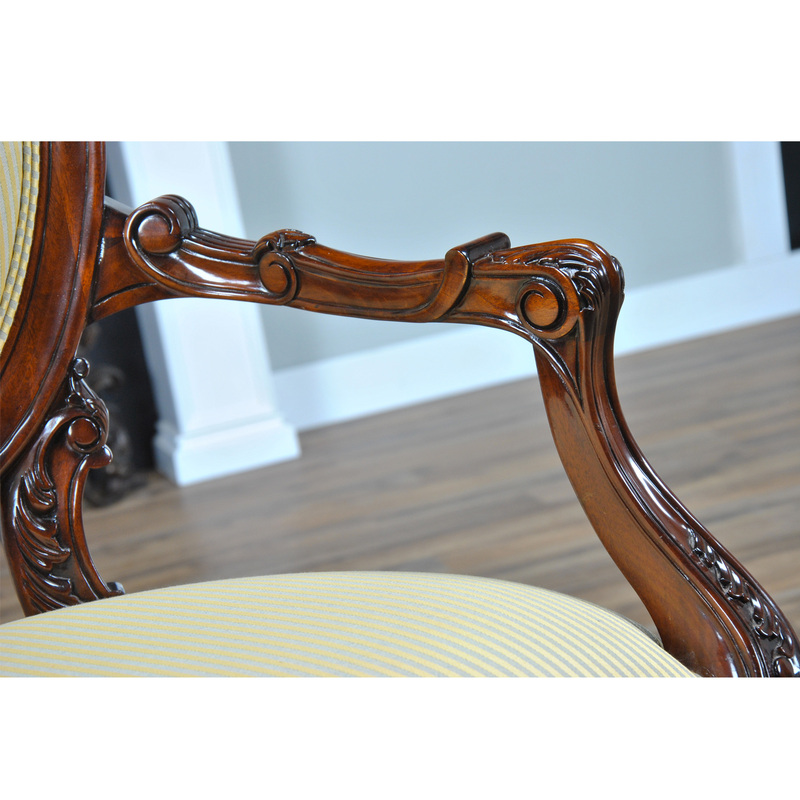 A French style living room chair with an asymmetrical back, the higher side of the chair being on a persons right side when facing the chair from the front side. 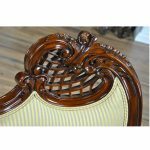 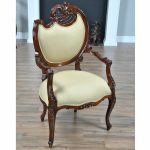 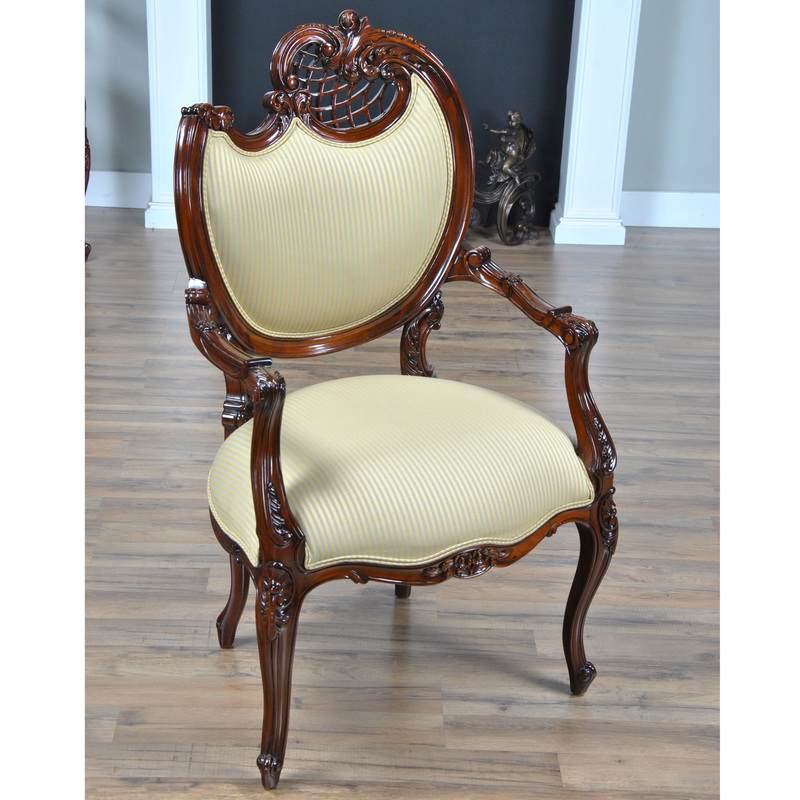 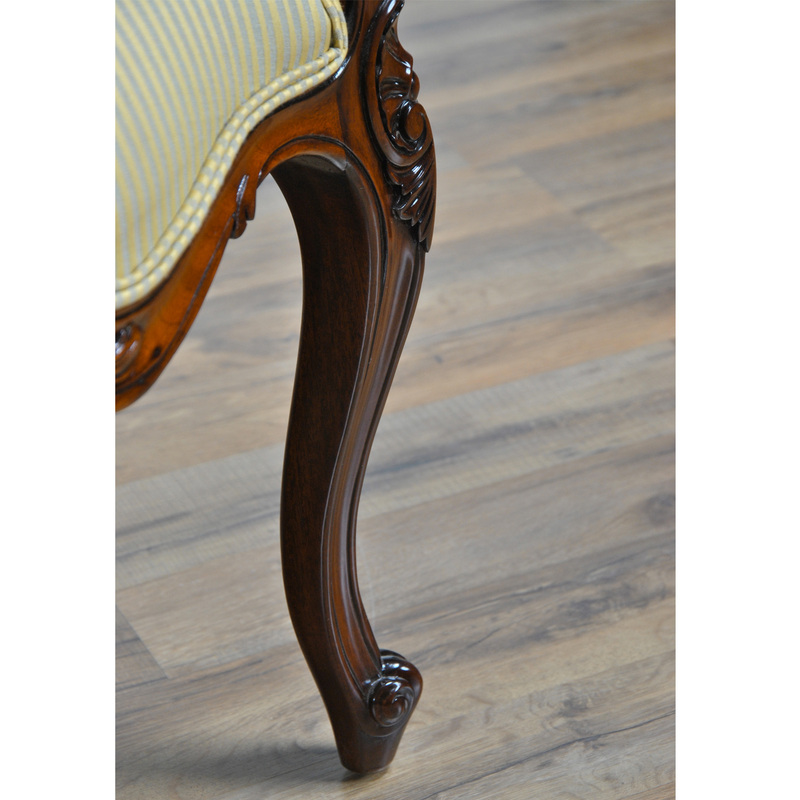 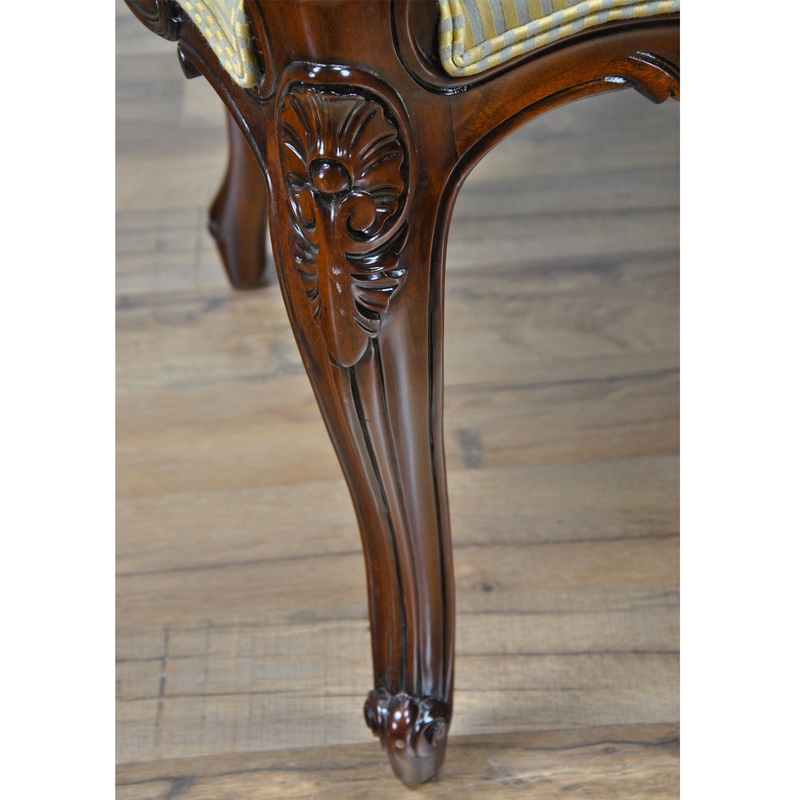 This version of a fireside chair is completely hand carved from plantation grown, sustainably harvested solid mahogany. 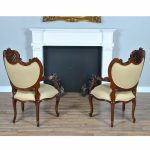 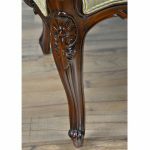 The Right Fireside Chair has a high end designer look and is usually sold in conjunction with it’s mate the NLR 069 Left Fireside Chair which matches it perfectly but the higher side of the chair is on the right side. 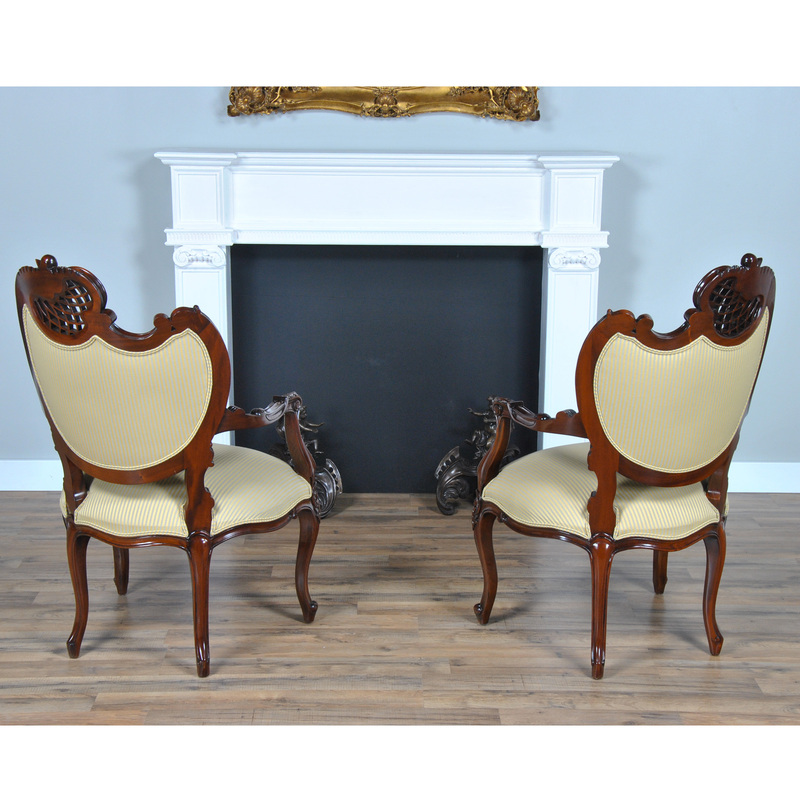 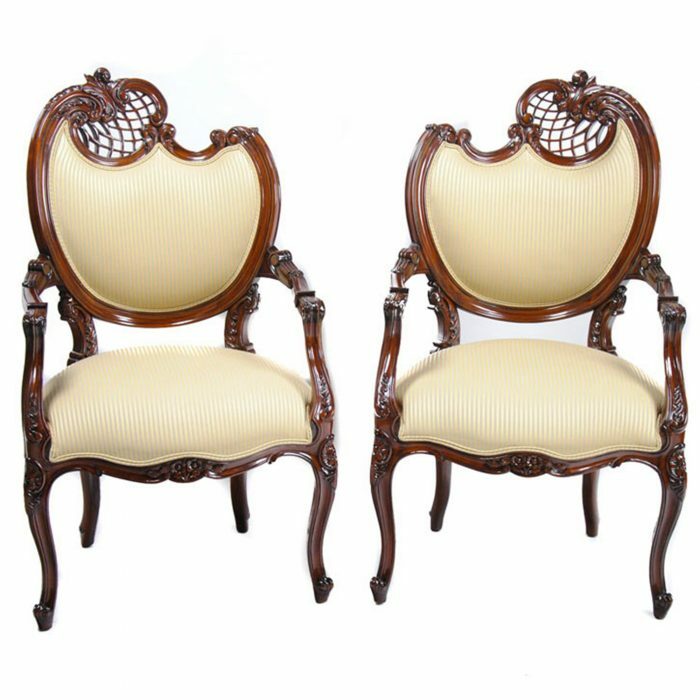 When placed together they make an interesting and remarkable pair of chairs.